There are a wealth of Irish sports stars who have embarked upon a long and successful career in their field with many of them departing these shores in order to seek success elsewhere. We take a look at some of the finest examples of the heroes who have left the Emerald Isle to become household names in their discipline. Whilst the majority of Robbie Keane’s football career may have taken place just a stone’s throw away in the Premier League, he has also enjoyed notable success in the USA and, even as he approaches his 40th birthday, he is still plying his trade and scoring goals in India. 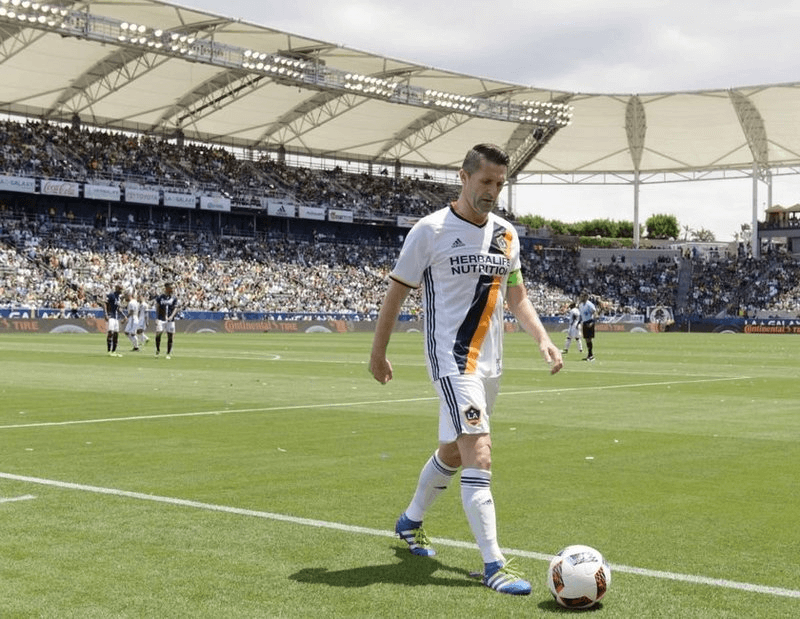 The Irish international helped LA Galaxy wrap up the Western Conference title at the end of 2014 regularly playing a full 90 minutes in unbearably humid conditions. He netted 83 times in 125 appearances for the Galaxy and played alongside Landon Donovan and David Beckham when he first joined the MLS club. Irish boxer Katie Taylor has certainly enhanced her reputation over the past couple of years and, back in 2014, she was named as ‘Ireland’s Most Admired Sports Star’. The Bray-born competitor has a glittering array of titles to her name including taking gold in the 2014 European Championships in Bucharest as well as three years earlier in Rotterdam. She first burst onto the scene when beating home favourite Denitsa Elisayeva in Pazardzhik as she successfully defended her European Union Title back in 2009. She also holds an unbeaten record in professional boxing with a mightily impressive eight wins from eight bouts. Ruby Walsh is synonymous with success. The County Kildare native has twice won the Grand National and, back in 2015, he travelled to Australia, helping guide 12-year-old Bash Boy to success in the Australian Grand National at Victoria. The 38-year-old has also been victorious in Japan, where he wrapped up the Nakayama Grand Jump on Blackstairmountain back in 2014. Whilst he’s had plenty of success away from the UK and Ireland, his record at the Cheltenham Festival is also eye-catching, with five triumphs in the Supreme Novices Hurdle, his last being in 2015 on Douvan. He regularly teams up with trainer Willie Mullins and is likely to do so again in 2018. According to the latest prices, courtesy of Oddschecker, the Mullins trained Getabird is the current favourite for the 2018 staging of the event, which takes place on the 13th March, and Ruby Walsh is likely to be in the saddle once again. Padraig Harrington is a three-time major winner and is a regular fixture in the top 10 of the official world rankings. Whilst his first triumph arrived close to home at the 2007 Open Championship, he proved he was far from a one trick pony with success in Michigan at the PGA Championship just a year later. He’s also had notable victories on both the PGA and Asian Tour, including a win at the Iskandar Johor Open in Malaysia. After a few years in the wilderness, Harrington roared back with a 2016 victory at the Portugal Masters, securing his success by a single stroke. Ireland has a terrific sporting pedigree and there are plenty of competitors and athletes currently flying the flag around the world. The country’s success is likely to continue apace over the next few years as plenty more natives aim to carve out a name for themselves in their respective spheres.